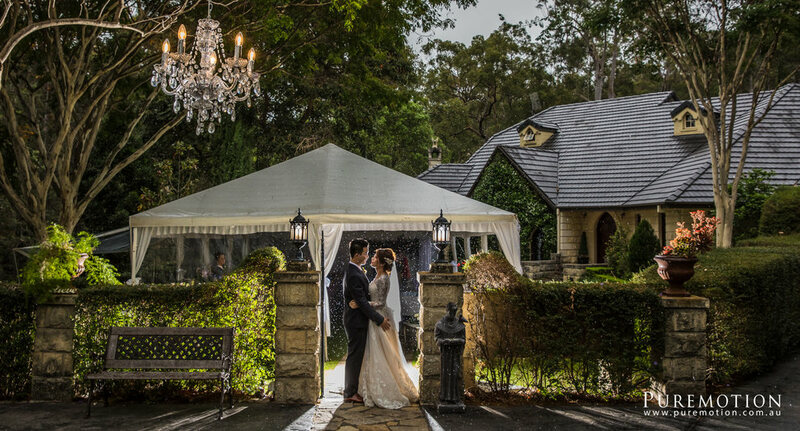 Enjoy a spectacular marquee wedding on the Gold Coast in the secret gardens of Evergreen. 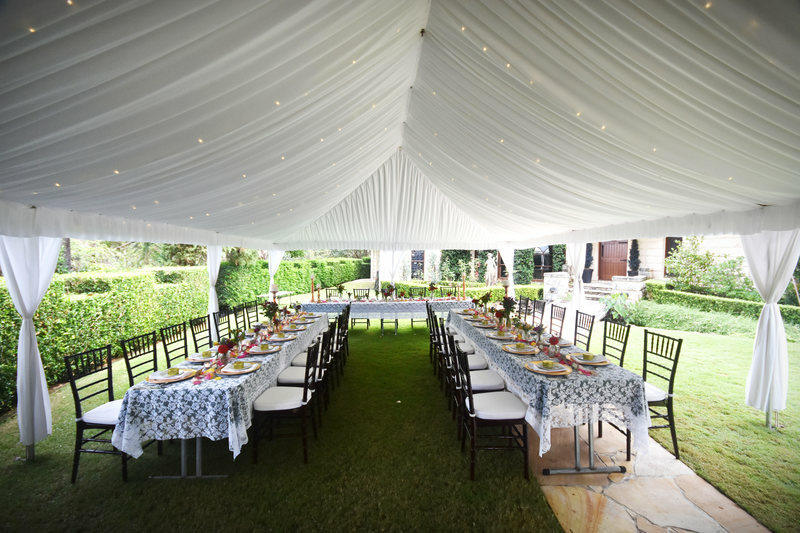 We are an outdoor venue set on over an acre of land that lends itself perfectly for your garden marquee wedding. The manicured gardens, rustic bush land and tropical creek make a haven for many unique photo opportunities. 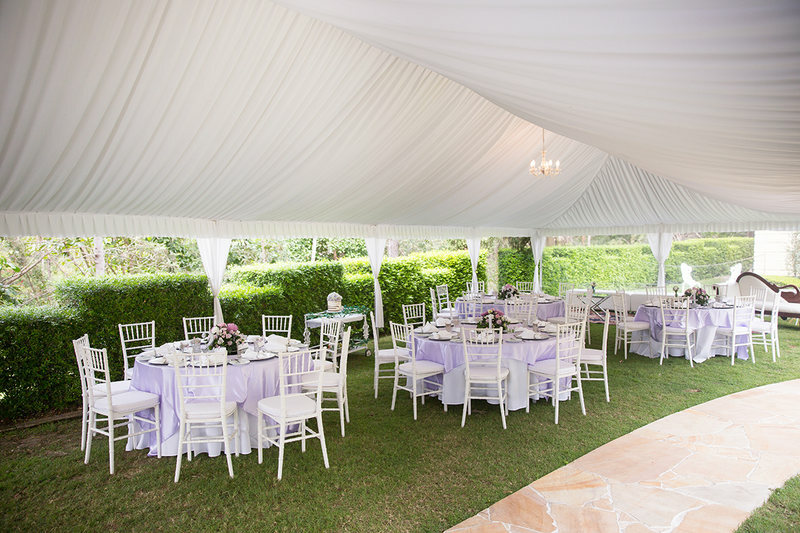 To add to the atmosphere of the garden, a white, silk lined marquee creates a spectacular, sophisticated setting for the elegance of your ceremony or reception. 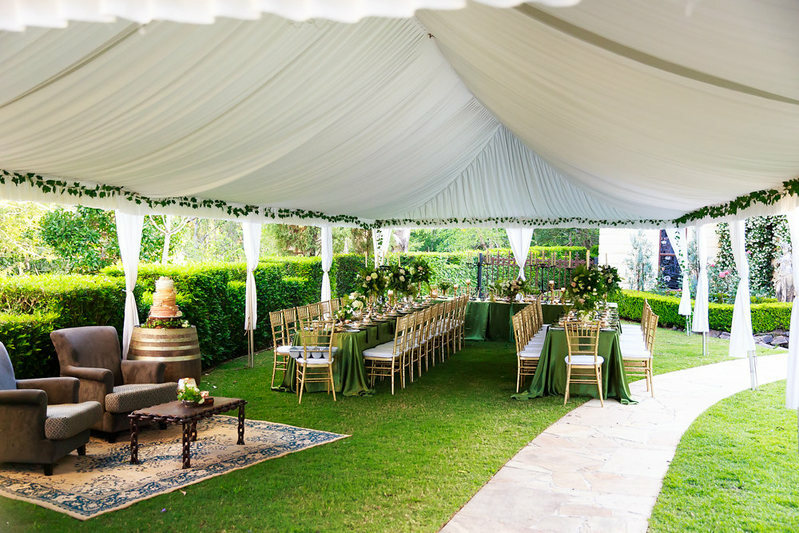 A marquee is the perfect backup plan for an outdoor wedding. Nothing is lost as you lounge snuggly under the white canopy and sit comfortable submerged in the greenery of the garden. 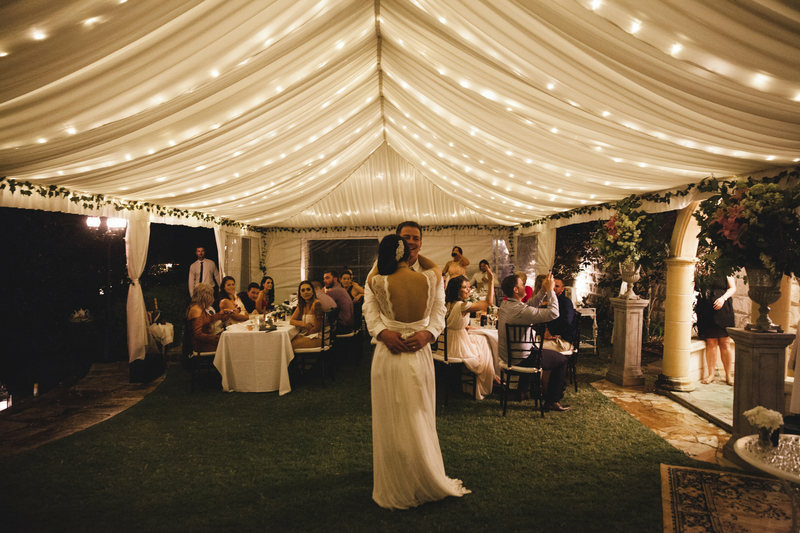 You can choose to have a chandelier, fairy lights or both if you prefer to create an ambience over your reception or ceremony. 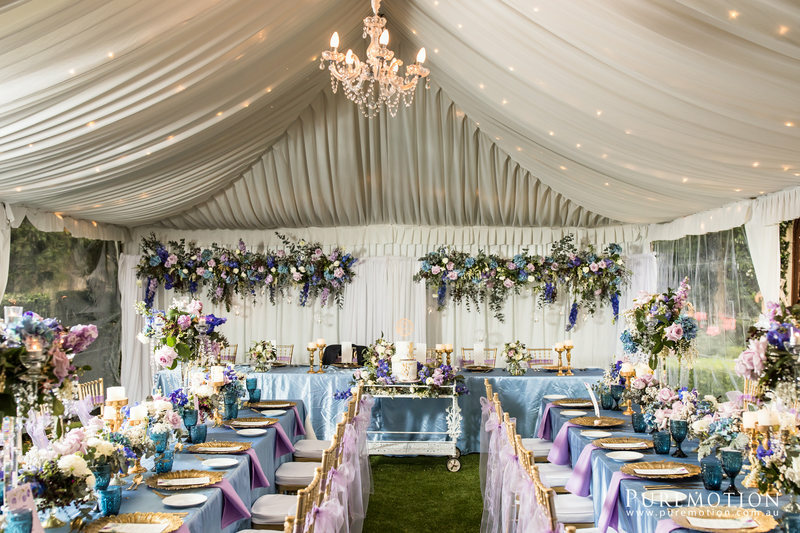 The marquee is an additional cost should you choose this option for your styling and comfort and can be added to any of our Ceremony or Reception packages. Evergreen Garden Venue is hand plucked out of a fairly tale book. From the first time my husband and I stepped into the venue we felt it's magical pull and on the day of your wedding it will truly leave you in awe. 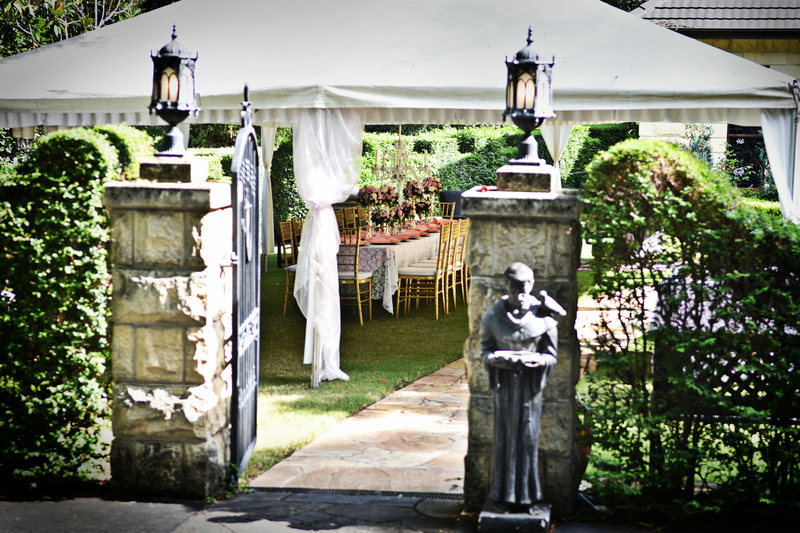 If you love Alice in Wonderland or the secret garden this truly is the venue for you and the hosts Marina and John are perfectionists. Every tiny detail of our day was exactly the way we imagined and if I could offer any advice to Bride's considering this amazing venue it is definitely get the chandelier!